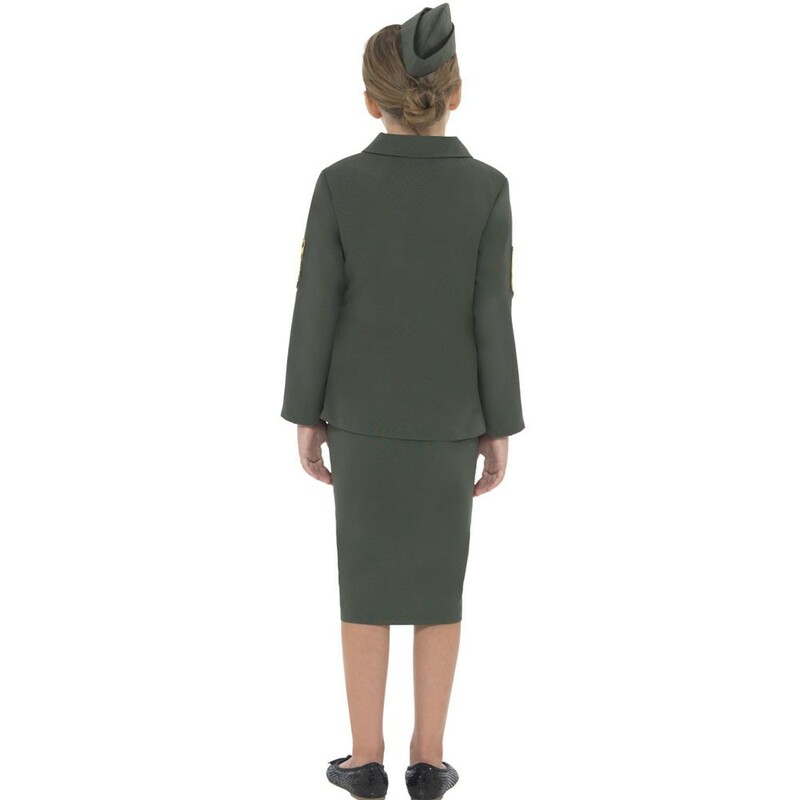 A WW2 Army Girl Costume including Jacket with attached Belt, Skirt, and Hat – Ideal for any Historical theme, Uniform, or any other fancy dress occasion. Travel back in time and becoming like the famous Land Girls in this fantastic WW2 Army Girl Costume. This costume comes complete including a Jacket with attached Belt, Skirt, and Hat. This khaki green Jacket features applique badges on the sleeves and chest, with gold buttons and an attached belt. 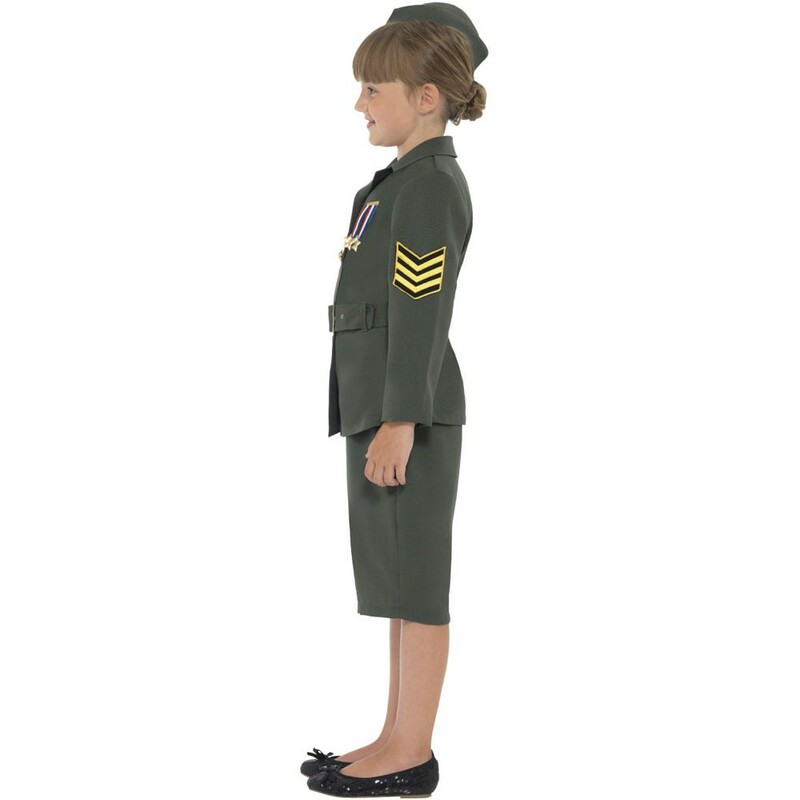 With the matching khaki green skirt, this WW2 Army Girl Costume is sure to make you stand out at any fancy dress occasion. Stand to attention with the classic Hat. 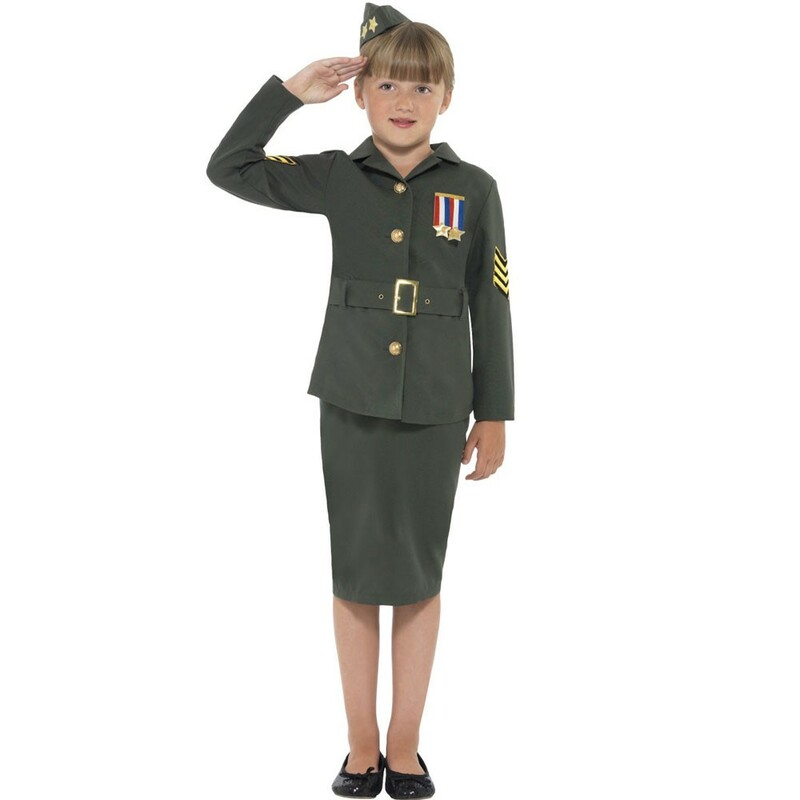 Whether this is for an Historical theme, World Book Day, or any other fancy dress occasion, this stunning WW2 Army Girl Costume is perfect for you. A WW2 Army Girl Costume including a Jacket with attached Belt, Skirt, and Hat.